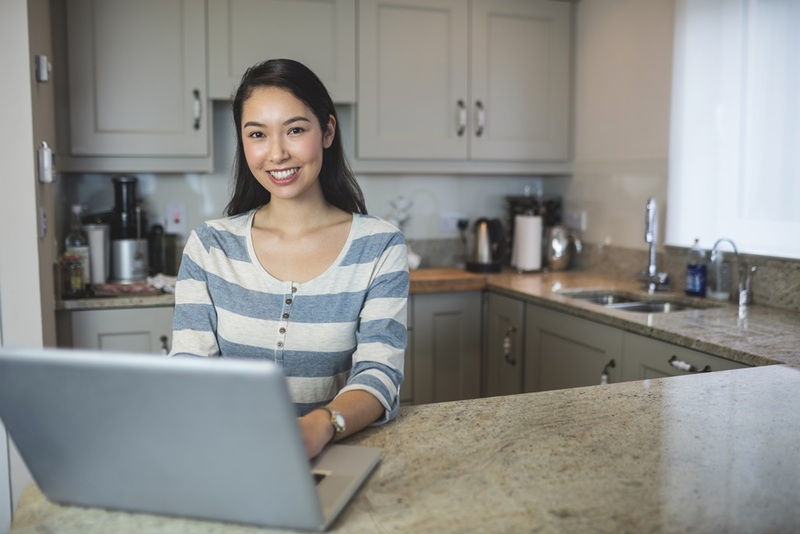 Home Business Can Employees Work Remotely and Be Productive? I recently read some interesting articles on social media surrounding the topic of remote and virtual workers. Some executives say the concept is not working for them and they are planning to move their remote workers back into the office. My response to that idea is “Ask Marissa Mayer how effective that move was for Yahoo.” She took the same position and believed that Yahoo’s work-from-home policy was a failure. Fast forward to 2017, and we hear of companies such as IBM (which has been referred to as “I’ve Been Moved”) ending the practice of allowing employees to work remotely. Approximately 2,600 marketing employees as well as some IT and procurement employees were told to relocate to an IBM office or find another job. However, the company has also experienced 20 consecutive quarters of declining revenue. What’s Wrong with Employers’ Negative Perceptions of Remote Workers? Based on these arguments, two supposed leaders in technology have admitted that they have not mastered the human factor of organizational development. I am not clear why some of their technical gurus have not proposed systems that would allow their employees to collaborate and be creative and innovative from a distance. Virtual teams are not new and you would think that a technology giant like IBM would be on the cutting edge of such workplace ideas. It seems that when business is slumping, there has to be a scapegoat. For some companies, it is easier to blame their employees rather than look at what and how the company performs versus product problems. When Mayer’s memo was leaked to the public, critics chimed in and said that the focus should be on changing some of IBM’s technology because that is where the “real” problem was. Who Would Walk Away from a Good Benefits Package without a Virtual Work Policy? I heard a story concerning one recruiter who was shocked when a job candidate turned down her offer of employment because there were no virtual work arrangements. It never dawned on her that a candidate would walk away from a good compensation and benefits package because the position wasn’t virtual. However, her peers quickly educated her that a good package isn’t everything and she probably didn’t “read” the candidate properly in terms of what was important. Over the past few decades, work-from-home positions have become acceptable among white collar workers. According to GlobalWorkplaceAnalytics, approximately 80% to 90% of employees who do not work virtually would like to do so. Manpower Group’s recent global study found that employees rank the ability to work flexibly as a top, if not the top, priority when choosing an employer. In fact, telecommuting tends to be a benefit to employees and employers. However, there will still be naysayers who don’t support the practice. For example, here in 2017, we still have managers who believe employees are not productive if you can’t see them. My response has always been that office employees can waste time even when you can see them. It’s like a person moving food around on the plate to make you believe he or she is eating. Just because you see an action does not mean that the desired outcome is actually happening. Are Work-from-Home Policies Truly Outdated? Have we reached the point where the concept of a work-from-home policy is outdated? Most organizational policies are written in a rigid manner so there are no legal loopholes. However, what if the concept of “remote/virtual” employees was seen as a benefit rather than as a policy? Is there a way to craft the process into a flexible benefit? Does it have to be an “all or nothing” situation? For example, contemporary higher education offers a choice of on campus, online or hybrid learning. Why can’t there be a “middle ground” for working at home? Perhaps organizations need to think creatively and craft policies that make sense for contemporary culture. My current situation, for example, is 100% remote, but I am available to be onsite at any time. What the concept of remote working boils down to is whether or not the human resources department has a seat at the decision-making table. HR professionals should be advocates for their employees and what interests and motivates them to be productive. It’s time to propose customized plans that meet the needs of your organization and your employees. Fight the urge to develop a “one size fits all” process. Think in terms of flexibility being a benefit, not simply a policy. Cali William Yost, a flexible work culture strategist, makes a good point when she states, “even if you bring remote workers back to the office, the strategic imperative to support flexible work remains.” In other words, if you want good people, you better give them some degree of flexibility in how they do their jobs and manage their lives. Astute company leaders should ensure that a detailed team development plan is in place. They should assess how the organization can utilize technology that will make virtual workers a success. In a previous blog article, I addressed some key points that should be covered in a virtual team development plan. Different technological tools (i.e. desktop video conferencing, collaborative software, the Internet and the company intranet) have brought down barriers between virtual and on-site offices. Why would anyone want to deliberately erect those barriers again? previous Will Google Keep Its Ranking as a Great Place to Work?